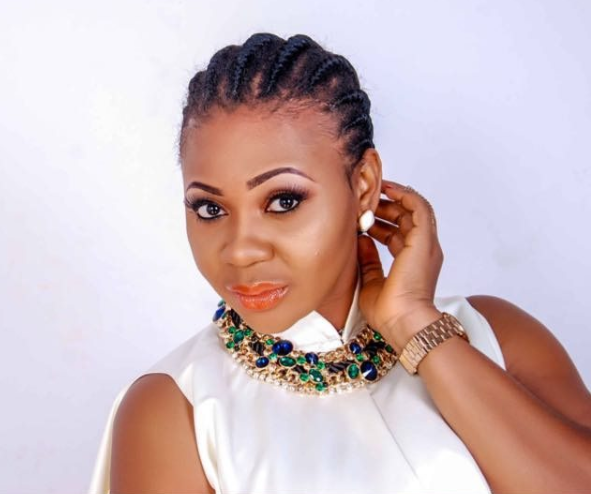 Nollywood actress, Mary Uranta,has hinted that being an actress is just a stepping stone and her final destination in life is to become a prophetess. The daughter of a Primate of Cherubim and Seraphim church, explained that already she has seen signs that she is destined to toe that path. At least 15 children have reportedly died in South Sudan from a botched attempt to immunise them against measles, officials say. They were vaccinated with the same unsterilised syringe, and the vaccine was not stored properly, according to an investigation into the deaths. 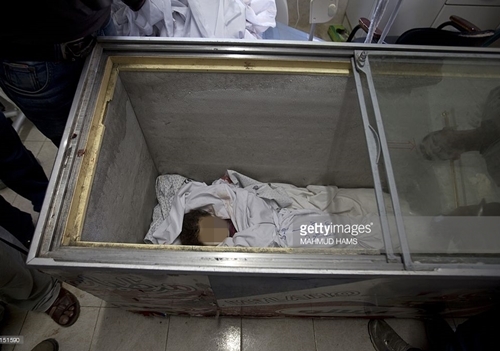 As a result, the immunisation campaign caused severe infection and sepsis. The Commissioner of Police in Adamawa, Mr. Moses Jitoboh, has confirmed the arrest of five suspects for beating a pregnant woman to death for alleged witchcraft. 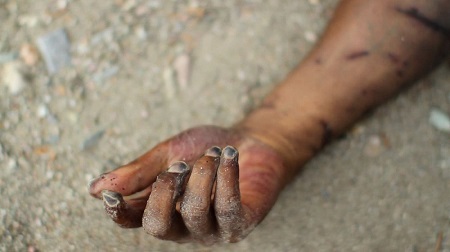 Jitoboh told newsmen in Yola on Saturday that the 32-year-old woman, Ayina Afraimu, of Falu village in Guyuk Local Government Area of the state was killed by the suspects who used sticks and rope, Punch reports. 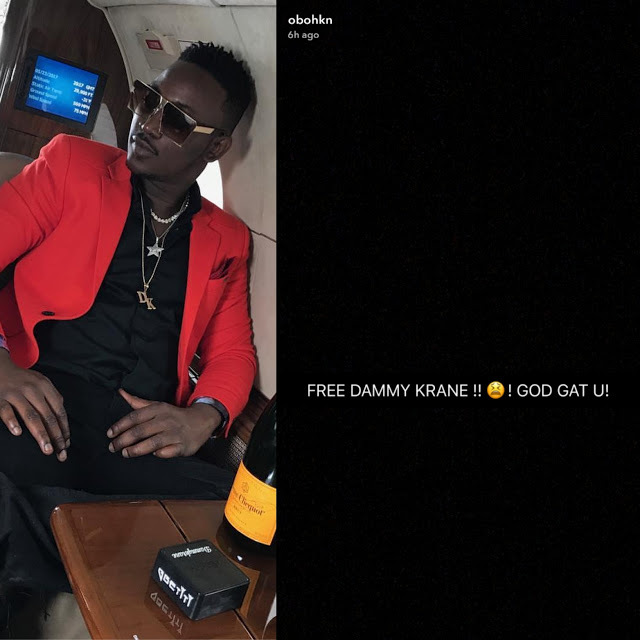 Davido is probable the first celebrity to openly show support for Dammy Krane following his arrest in Miami, USA. Krane was arrested yesterday after he allegedly booked a private jet with stolen credit card numbers. In this interview singer Daniel AppyDay takes us through his journey in just concluded Norway Got Talent where he got to the semi finals. 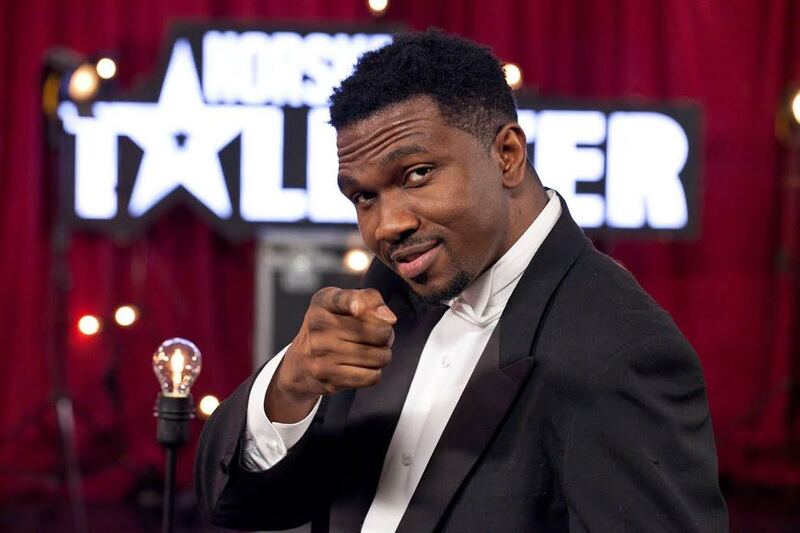 The Anambra state singer who represented Nigeria in Norske Talenter (Norway Got Talent) talked about his plan for the future and how he is able to take Nigerian sound to Norway where he was among the contestants that contested for the grand prize but lucky he got to the semi-finals he was also thankful to those who voted to keep him in the competition. The police have arrested an 18-year old man, Olanibi Okanlawon who reportedly arranged and led armed robbery gang to his family house to rob members of his family including his own mother. According to PM Express, reports that the incident happened at about 1.30 am at 16, Oluwakemi street, Ilasamaja, Lagos where the family house is located. 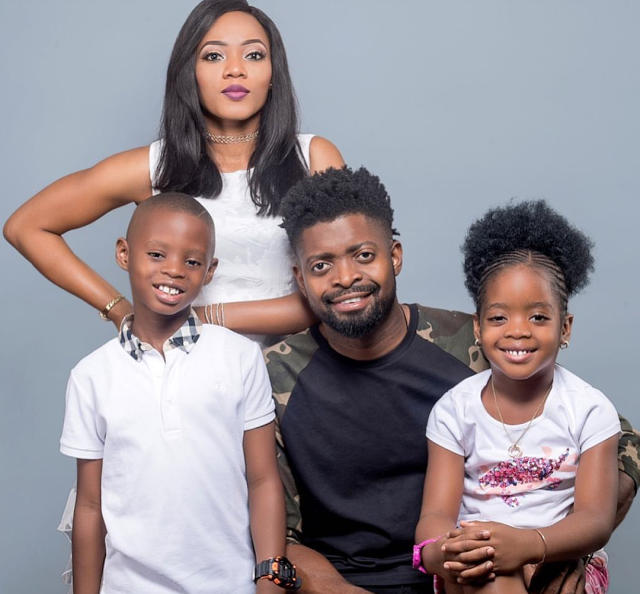 Our correspondent gathered that some of the family members including Funmi and Gbemisola were brutally attacked with cutlass and dispossessed of their valuables before they left. The Federal Government on Friday alerted the public to the outbreak of Avian Influenza or Bird Flu in the FCT and seven states of the country. The Director of Veterinary and Pest Control Services, Federal Ministry of Agriculture and Rural Development, Dr Gideon Mshelbwala, stated this at a meeting with state Commissioners of Agriculture in Abuja on Friday. 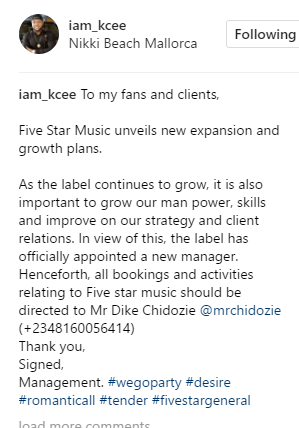 DMW boss, Davido and award winning choreographer, Kaffy, have finally ended their beef for eachother. The pair were seen hugging the issues out at Cool Fm earlier today. Glad the war is over. All Progressives Congress chieftain, Pastor Yemi Osinbajo has been welcomed wholeheartedly in the Southern part of Nigeria with a traditional honour. 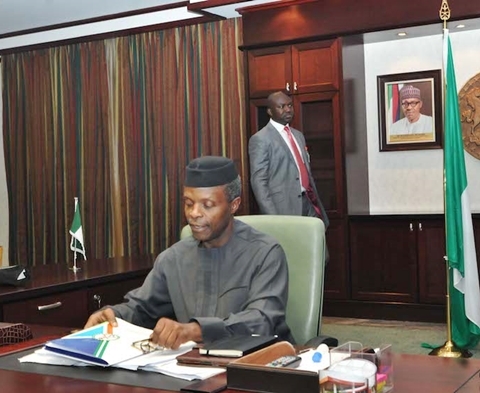 The Acting President, Professor Yemi Osinbajo was conferred with one of the highest traditional titles of the Efik Kingdom, Ada Idaha Ke Efik Eburutu (traditional ruler in Efik kingdom) by Obong of Calabar, Edidem Ekpo Okon Abasi Otu V on Thursday when he visited the traditional ruler at his palace in Calabar. An outlaw who has been freely operating in the South-western part of Nigeria with his team has been nabbed by the long arm of the law. America is believed to be the mastermind of the recent abduction of the Epe School children. 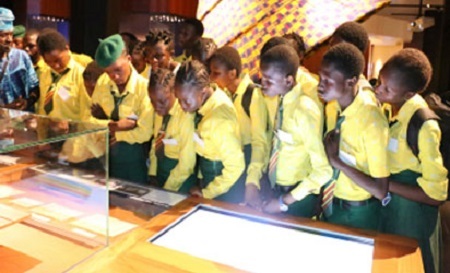 The Obasanjo Presidential Library is exposing young secondary school students to the horrors of the Nigerian civil war. As part of efforts to mark the international world museum day, the Olusegun Obasanjo Presidential Library, OOPL, on May 18,2017 assembled Primary and Secondary school students from various parts of the State and played video and audio clips of the Civil war for them with a view to teaching them the effects of the civil war on Nigeria . Diarrhea outbreak has killed several people recently in Sudan according to the records made public by the health minister of the country. Sudanese Health Minister Bahar Garada, on Friday, said that diarrhea has killed 265 people and infected 16,121 others in 11 states of Sudan since August 2016. Former Government of Central Bank of Nigeria, Muhammadu Sanusi II, has opened up on people who give birth to more children than they can cater for. 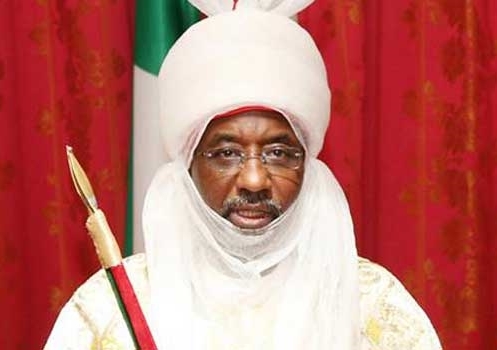 The Emir of Kano, Muhammadu Sanusi II, has called on Nigerians to stop birthing more children than they can cater for. He spoke on Thursday when Mohammed malick Fall, the United Nations Children’s Education Fund (UNICEF) representative in Nigeria paid him a courtesy visit in Kano. 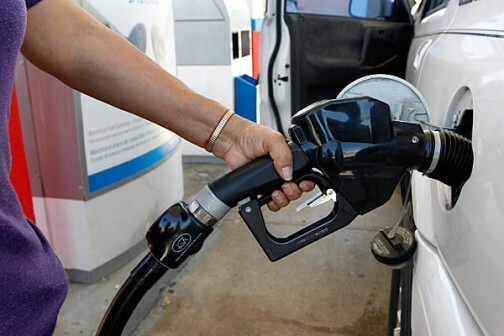 A fresh increase in the pump price of petrol is among the contents of a bill that has been approved by the Nigerian Senate Committee on Works on Thursday. The Nigerian Senate Committee on Works has recommended an increase in the pump price of petrol from N145 to N150 for the implementation of the proposed National Roads Fund (NRF). The recommendation came a year after President Muhammadu Buhari raised the pump price of fuel from N87 to N145 per litre. Members of the Nigerian Senate on Thursday, were forced to stand down discussions and consideration after an argument over a bill which sought to value the University Bsc more that the HND from Polythecnic. Following sharp argument for and against holders of University Degree and Higher National Diploma (HND), obtained from the Polytechnics, over the qualification of the person who should man the Federal Roads Authority, the Senate was on Thursday, forced to stand down discussions and consideration of the bill. Some security detectives have started investigating an alleged social security fraudster, who hid the corpse of a 90-year-old woman in a freezer for ten years to collect her pension. A woman kept her dead mother hidden in a freezer for ten years so she could continue to claim an old age pension equivalent to £1700-a-month, prosecutors revealed today. The 90-year-old’ corpse was found after detectives started investigating the alleged social security fraudster, who is 55 and cannot be named for legal reasons. Laura Ikeji has adopted the Western culture of publicizing her pregnancy on social media as her followers await her delivery date. 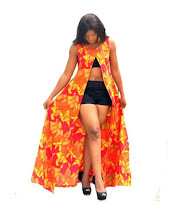 Laura Ikeji, sister of popular blogger, Linda Ikeji shared these beautiful photos on her Instagram handle. Laura recently got married to a former Super Eagles footballer, Ogbonna Kanu last year after the duo secretly dated overtime. Many have criticicized the fashion blogger for littering social media platforms with her pregnancy photos. Her millionaire sister, Linda Ikeji - 36 has remained single despite concerted efforts to find a true man to spend the rest of her life with. 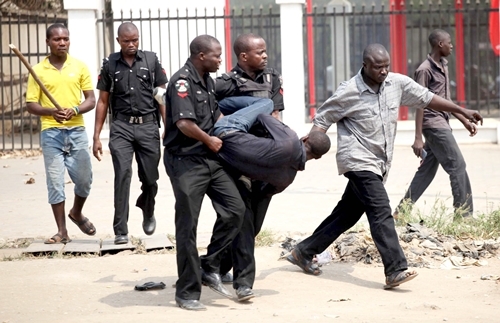 A man who worked with others to kidnap his father and was apprehended by security operatives, has been paraded by the Oyo State Commissioner of Police on Wednesday. Odude who paraded the suspect along with others yesterday, said that the kidnapping of the suspect’s father took place at Igboora in Ibarapa Central Local Government Area on May 17 at about 6 p.m.
Acting President Yemi Osinbajo will no longer sign the 2017 budget today by 9am after inviting Senator Bukola Saraki and Hon. Yakubu Dogara to the official Budget Signing event of the 2017 Appropriation Bill. 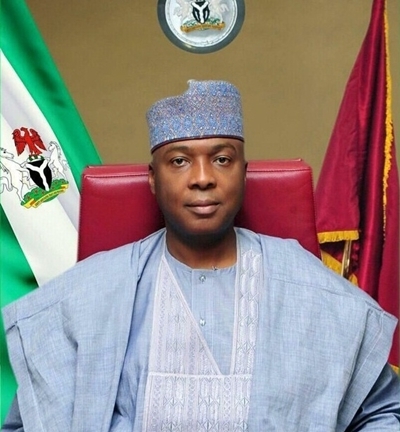 We reported on Wednesday that the Acting President, Prof. Yemi Osinbajo invited the Senate President, Dr. Abubakar Bukola Saraki and the Speaker of the Federal House of Representatives, Hon. Yakubu Dogara to the official Budget Signing event of the 2017 Appropriation Bill. A top National Assembly source had earlier disclosed that the Budget Signing will take place today, Thursday 1st June, 2017 by 9.00am at the Aso Rock Villa with Acting President Osinbajo giving executive assent. Here is a photograph taken in the year 1893 showing five virgins in Egbaland at the Ake Palace. A photograph taken in 1893 has shown what virgins in Egbaland looked like. The photo posted by History Ville was taken in 1893. Microsoft Incorporated has continued in its history-making bid in the area of technological development and innovation. Microsoft co-founder Paul Allen unveiled the world's largest aircraft on Wednesday. The massive plane rolled out by Allen's aerospace firm, Stratolaunch Systems, features the longest wingspan of any aircraft ever built, according to Popular Mechanics. 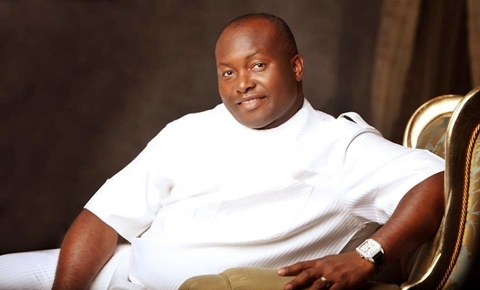 The continued detention of billionaire business mogul and the Chairman of Capital Oil and Gas, Dr Ifeanyi Ubah, has caused his kinsmen to threaten hunger strike among other actions. Kinsmen of detained Dr. Patrick Ifeanyi Ubah, under the aegis of Association of Umudiana Ndi Nnewi Movement, Anambra State chapter, on Thursday, threatened to go on hunger strike and remain so until their son regains his freedom. Ubah, Chairman and Chief Executive Officer of Capital Oil and Gas Limited is being held by operatives of the Department of State Services (DSS). A man who was only giving a speech at a funeral, has ended up collapsing and dying on the spot, causing quite a stir at the scene. Stanley Dube, a Zimbabwean man from Bulawayo, whose cousin was killed in a road traffic accident, collapsed and died while making an announcement at the funeral. According to The Chronicle, Stanley Dube collapsed and died on Monday at around 7PM in Mpopoma suburb while making an announcement to mourners who had gathered for his cousin’s funeral. 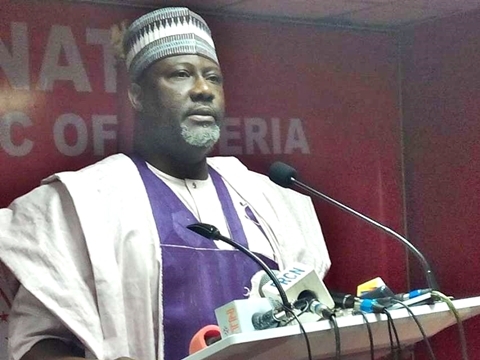 A chieftain of the All Progressive Congress and Kogi West senator, Senator Dino Melaye, has openly criticized President Muhammadu Buhari's administration. Speaking while giving his remarks at the 2017 Nigeria Democracy Day Lecture organized by the Save Democracy Group Africa (SDG-Africa) in Abuja, Senator Dino Melaye, on Wednesday openly criticized President Muhammadu Buhari’s administration, especially some of his appointments. The outspoken Kogi West senator said that such appointments by the president have done more harm than good to Nigerians, adding that the President’s appointees are mostly people without the requisite experience. 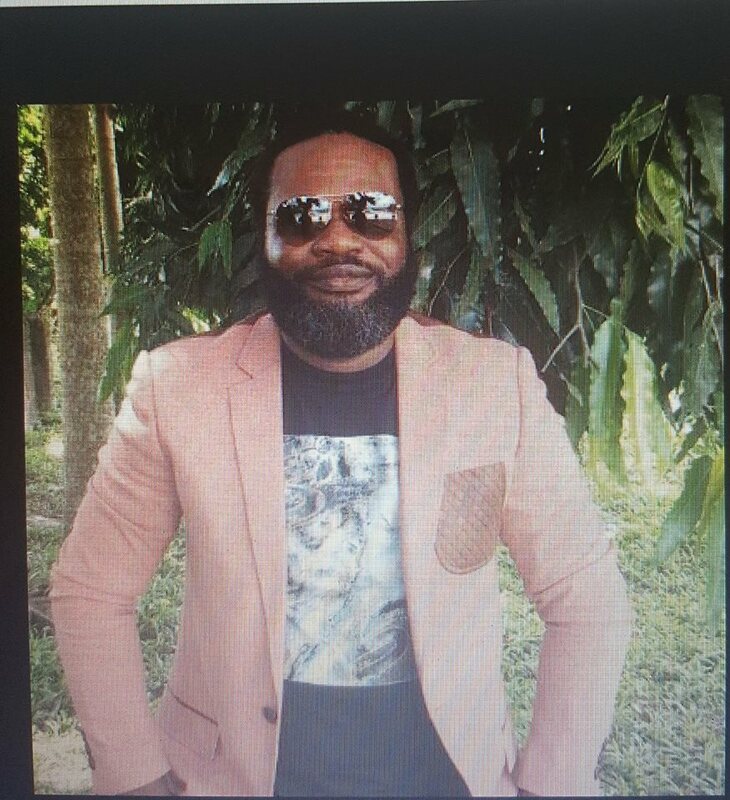 A randy Nigerian pastor, John Edebor has been exposed by the wife after she caught him having s*x with a church worker in Warri. A Nigerian woman has narrated in tears how she caught her husband who is a pastor many times having s*x with a church worker. The man identified as Pastor John Edebor lives in Warri has been sleeping around with the church member identified as Ejiro. Sensational Nigerian forward, Onyekuru is currently being tipped for success in North London where he is expected to ply his trade next season. Arsenal legend Ian Wright has backed Henry Onyekuru to shine at the Emirates after reports that the Gunners had agreed a £6.8m fee for the KAS Eupen striker, International Business Times UK reports. The 19-year-old forward has caught the eye of clubs across Europe after emerging as the top-scorer in the Belgian league this season with 22 goals in 38 appearances. The Senate has passed the Repeal and Re-enactment Bill 2017 of the Nigeria Customs Service Management Act, ensuring that the appointment of the Comptroller-General would now be subject to its confirmation, with one renewable tenure. 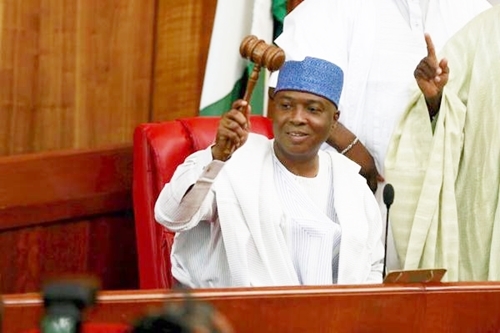 The Senate wednesday passed a bill scrapping the governing board of the Nigeria Customs Service (NCS) and establishing the NCS Commission to superintend over the administration of the Customs Service. It also imposed a one per cent levy on free-on-board (fob) value of imports on dutiable and non-dutiable goods. At the national assembly plenary on Wednesday, members of the senate confirmed 15 resident electoral commissioners of INEC out of the 27 nominees sent by President Muhammadu Buhari. A total of 15 resident electoral commissioners (RECs) of the Independent Electoral Commission (INEC) out of the 27 nominees sent by President Muhammadu Buhari, have been confirmed by the Nigerian Senae on Wednesday. The chairman of the senate committee on INEC, Suleiman Nazif, while presenting his report, explained that the remaining 12 nominees were still undergoing screening. This is an expose on the mind-boggling amounts of money paid to maintain private jets annually in Nigeria. As the number of private jet owners in Nigeria continues to decrease due to economic recession, the remaining 50 per cent who still own the luxury items now spend about N30 billion on maintenance annually, the Leadership checks have revealed. It was gathered that the remaining 100 owners of private jets in the country spend between $500,000 to $1 million to maintain their jets annually, translating to N30.5 billion. Massive sums of money are currently being trapped in Nigerian banks and remain unclaimed over BVN hassles. Financial technology experts have blamed corruption for the N3tn that trapped in accounts that have not been linked to the Bank Verification Numbers of their owners, and asked the Central Bank of Nigeria to urgently confiscate the funds or risk losing them to cyberattacks. The experts said that privileged information available to them indicated that certain hackers, with collaborators from within the country and across the world, were developing a ransomware to attack banks’ data systems to steal the funds. 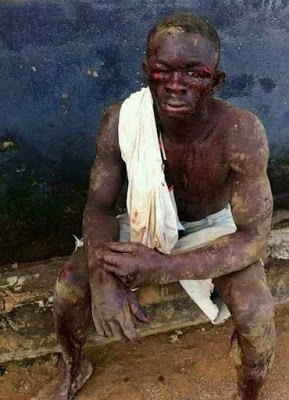 Some Muslim faithfuls have been given the beating of their lives after angry masquerades stormed the mosque and beat them to stupor. 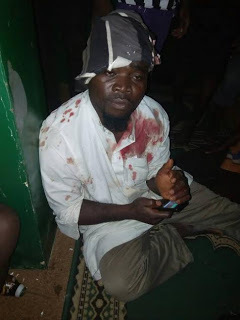 Angry masquerades have attacked Muslims inside the Central Mosque in Ikun Ekiti, Moba Local Government Area of Ekiti state. The shocking incident happened on Tuesday at sunset around 7pm when the Muslims had gathered in the mosque to observe the Maghrib prayer after breaking their fast. According to a report by Punch, the masqueraders were irked that the Muslims called for prayers when they were still celebrating Egungun (masquerader) festival. A young Nigerian captain has been reportedly captured by the sea pirates while on duty at sea and gruesomely murdered him, which has left his family and friends in mourning state. 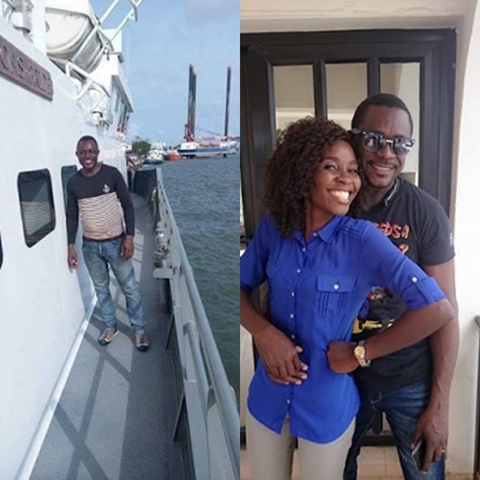 A Facebook user identified as Emmanuel Nastypro, has taken to the social networking platform to share the heartbreaking story of how a young Nigerian Captain, Chris Ndukwe Oshuoha, who was allegedly killed by Sea pirates. People were left in serious amazement after a Ugandan billionaire was buried with money and expensive champagne as his club members paid their last respect. A Ugandan billionaire's burial has left many people with serious questions after members of his gang buried him with money and expensive Champagne in Uganda. 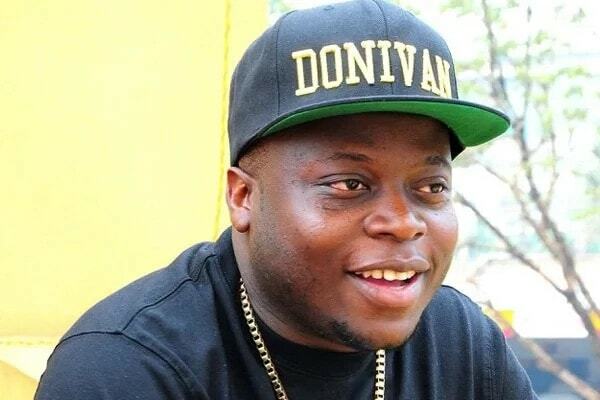 The man identified as Ivan Ssemwanga was a super rich businessman before his death. Members of his gang on Tuesday poured expensive champagne and splashed money in his grave before burial to pay their last respect. 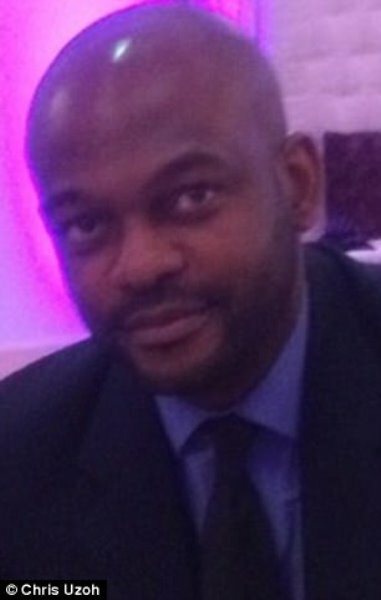 Dr Chris Uzoh, an obsessive Nigerian doctor who flooded a terrified patient with chat-up texts and tried to woo her with flowers has been banned from practicing in the UK. The 40-years-old Nigerian medical doctor accused of pestering his patient with love advances has been banned from practice in the UK for one year. Uzoh was said to tried to woo one of his patients with flowers and messages. 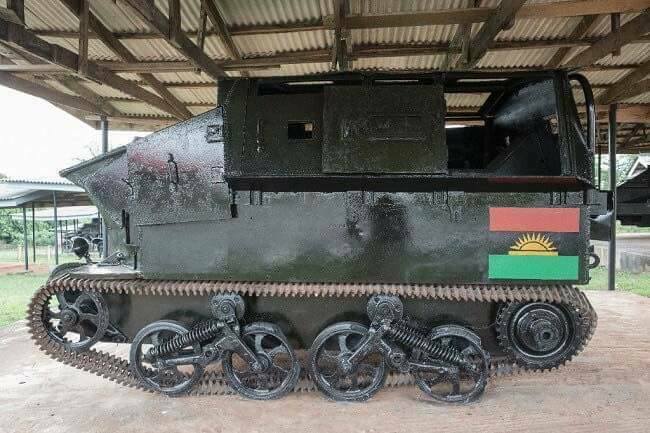 These are photos of the 'retouched' Biafran armoured tanks designed and built by Biafran engineers during the civil war. These are new photos of the renovated Made-In-Biafra armoured vehicles/tanks and weapons that were used during the Nigeria/Biafra civil war. 45-year old single mother, Kate Henshaw has refused to allow age and motherhood take its toll on her as she continues to slay on Instagram. Kate Henshaw is currently reaping the benefits of hitting the gym regularly as she looks young, fit and dashing in a new photos recently shared on social media. Kate Henshaw (born 19 July 1971) who is the winner of the Africa Movie Academy Award for Best Actress in a Leading Role has been working so hard exercising her body to burn the necessary fat. She currently looks younger than her age with healthy looks as evident in other pictures collected from her social media page. 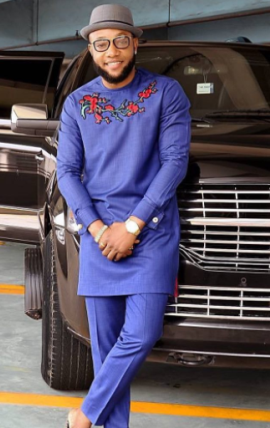 This man from the South-western part of Nigeria appears to be in a hurry to drag his heartthrob to the other room prior to their marriage ceremony. The wedding night seems to be taking forever to surface for Olawale as he got too impatient with his fiancee's behind in these lovely pre-wedding photos. Soldiers have allegedly invaded a community in Ghana and dealt mercilessly with the people after they mistakenly lynched a soldier to death. The Assembly Member alleged to have incited Monday's murder of Captain Maxwell Adam Mahama in Denkyira-Obuasi in the Central Region has been arrested. Also, soldiers have allegedly beat the hell out of some of the resident alleged to have participated in the lynching of the soldier. Barely 24 hours after the sit-at-home campaign that crippled business activities in the South East, a group have asked the Federal High Court in Abuja to revoke Nnamdi Kanu's bail. In a letter dated May 31, 2017 and signed by Prince Chukwuemeka Okorie, a South-east group under the aegis of South East Peoples Assembly (SEPA), on Wednesday, asked the Federal High Court in Abuja to revoke the bail it granted to leader of the Indigenous People of Biafra (IPOB) Nnamdi Kanu. 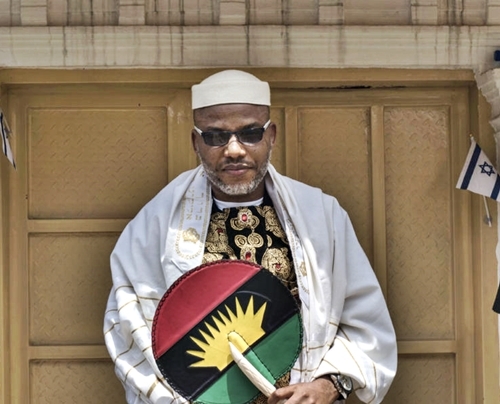 According to a report by Vanguard, the group urged the Chief Judge of the high court, Justice Ibrahim Auta, to as a matter of urgency, to revoke Kanu’s bail and lock him back in Kuje prison. A Nigerian of South-east descent has been caught trafficking contraband substance in far-away Asia amid the grave punishment attached to it. Calangute police arrested a Nigerian national identified as Victor Igwe Amos during a narcotic raid conducted during last night at Porie Ground, Calangute. The 32-year-old resident of Lagos, Nigeria was found in possession of 190 grams of Ganja and 17 grams of Charas worth a total of Rs 50,000 in the international market. There is tension in Owode Street and its surrounding locations in Oshodi over fears of a reprisal attack after NURTW boss a.k.a Hamburger was shot dead in Shogunle, Lagos. 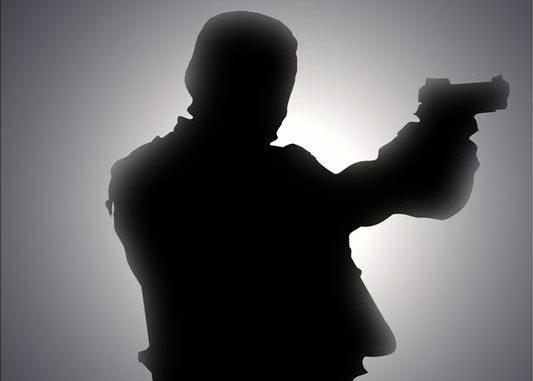 A prominent member of the National Union of Road Transport Workers (NURTW), Rasaq Bello, popularly known as Hamburger, was shot dead in the Shogunle area of Lagos state during the local council primaries of the All Progressives Congress (APC). 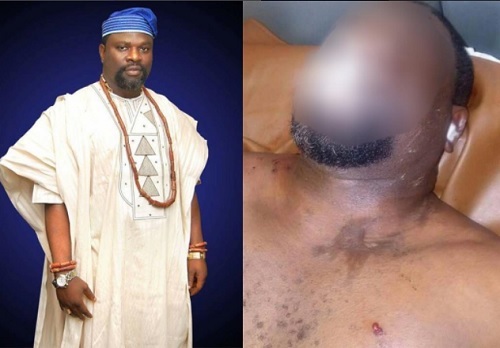 According to a report by Punch Metro, Hamburger who was the Lagos State Treasurer of Tricycle Operators, a branch of NURTW, was allegedly shot on Monday by members of a rival gang allegedly led by one Samson Agbetoye, popularly known as Golden. The reign of Luis Enrique has ended in Camp Nou with an experienced coach in the Spanish league named Ernesto Valverde introduced to the leadership scene. FC Barcelona has released a statement on Monday to announce that the former Athletic Club boss will take over from at Camp Nou this summer. The Catalan Club confirmed that Ernesto Valverde will be their new coach for the 2017-18 season. 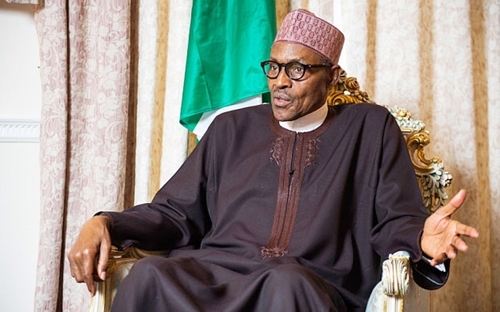 President Muhammadu Buhari who is away in London, United Kingdom, has been trailed by criticisms over his approval of the withdrawal of Oil Prospecting Licences won by indigenes of the Niger Delta. President Muhammadu Buhari’s approval of the withdrawal of Oil Prospecting Licences 2001, 2002 and 2003 in the Utapate Field won by indigenes of the Niger Delta is not only being tackled by the investors but may lead to chaos in the oil-rich region if not properly addressed. According to the investors, about N44.6bn signature bonuses paid for the licences is also under threat following the approval of the President to withdraw the OPLs from the winners who emerged after the Federal Government opened up the oil blocks to bidders in the 2007 bid rounds.